Call Us First or For A Second Opinion! Russell & Sons Waterproofing in Peterborough is a family owned and operated company, specializing in a range of waterproofing services. 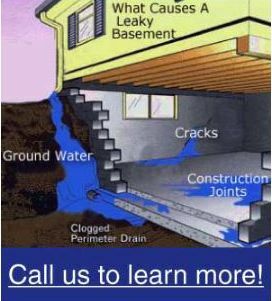 We service wet and leaky basements, as well as sewer repairs and installations. Our service is available year-round, 7 days a week. Give us a call today for more information on our waterproofing services, or to schedule a consultation. As us about our seniors’ discount!